The words although, though, despite, in spite of and however have very similar meanings; however, they are used in different structures. Though and although are conjunctions. They go before a clause. Despite and in spite of are prepositions. They go before a noun or noun equivalent. However is a transitional adverb. It goes at the beginning of a sentence. 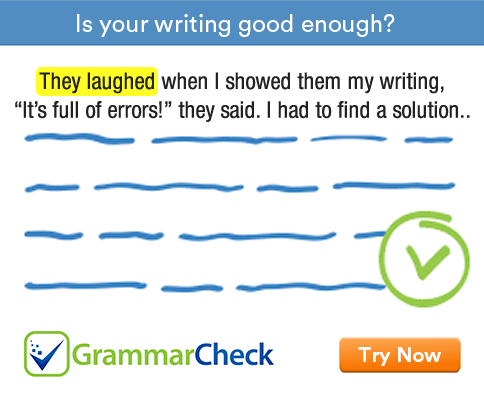 This grammar exercise tests your ability to use these words correctly. 1. ............................ the watch was expensive, he bought it. Although is a conjunction. We use it before a clause. 2. We went out ................................... the rain. The prepositions 'despite' and 'in spite of' are interchangeable. 3. We went out ............................... it was raining. We use 'although' before a clause. 4. ............................ my husband didn't like the movie, I enjoyed it a lot. The conjunctions 'though' and 'although' are interchangeable. 5. He passed the test. ............................, he didn't get the job. 'However' is not a conjunction. It is a transitional adverb and goes at the beginning of the sentence. 6. .............................. he passed the test, he didn't get the job. 7. They managed to do it ........................... I was not there. 8. Tired ............................. he was, he went on working. 9. .......................... hard she tried, she couldn't do it. 10. ................................ of the headache, I enjoyed the movie. The correct expression is 'in spite of'. It means the same as 'despite'. 11. .......................... I don't agree with him, I think he is honest. 12. We understood him ................................ his strong accent. Despite is a preposition. It goes before a noun. 1. Although the watch was expensive, he bought it. 2. We went out despite / in spite of the rain. 3. We went out although / though it was raining. 4. Though / although my husband didn’t like the movie, I enjoyed it a lot. 5. He passed the test. However, he didn’t get the job. 6. Although / though he passed the test, he didn’t get the job. 7. They managed to do it though / although I was not there. 8. Tired though he was, he went on working. 9. However hard she tried, she couldn’t do it. 10. In spite of the headache, I enjoyed the movie. 11. Although I don’t agree with him, I think he is honest. 12. We understood him despite his strong accent.